This article originally appeared in the Sierra Club's newsletter. future of transportation.” But there’s definitely something interesting happening. way to improve my mobility options in a ridiculously congested place like the Washington D.C.
wasn’t good enough to carry a charge decent enough to get back-and-forth across the city. California wholesaler and a D.C. retailer. work, going to eat, or meeting friends. sustainable, more affordable, and just plain fun choices. replaced with e-bikes, that wouldn’t be good for the environment. Obviously. 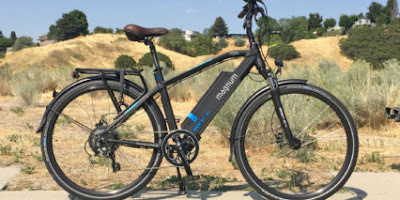 longer distances, people might ditch cars for e-bikes. earlier this year found that most participants switched to e-bikes to reduce car use. production in China was for e-bikes. That’s a lot of batteries. infrastructure, which is proven to increase rates of bicycling across the board. now my 17-mile roundtrip work commute is often the best part of my day.